Vijay hit Wafadar for a four over point to bring up his ton with Lokesh Rahul closing in on his half-century at the other end. 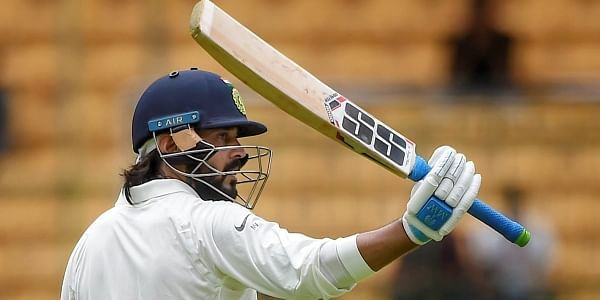 BENGALURU: Opener Murali Vijay notched up his 12th hundred as play resumed after the second rain break with India firmly in control against debutants Afghanistan in the historic one-off Test here on Thursday. India were 268/1 after 50 overs as the visiting bowlers were sent on a leather hunt. Cumulatively 103 minutes were lost due to rain.